Fishing requires plenty of time and making some sacrifices in your lifestyle. 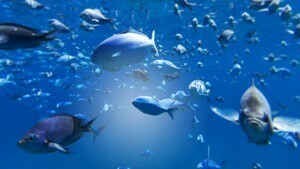 We all wait for that day when we are free to go fishing anywhere we like. The last thing we want then to happen is the damaged or malfunction of the equipment. Read along this Pflueger reels review and discover why this particular model is a piece of equipment which will work anywhere and at any given moment as long as you need it. Pflueger Reels Review: Why Is This the Best Reel for You? We have mentioned just a few glimpses of the Pflueger Supreme XT Spinning Fishing Reel, but now is the time to mention the main features of this particular model. The first thing you will need to know is that there are a lot of advanced systems and mechanisms implemented into the reel we are testing. This particular model is made of magnesium. In general, it is almost completely made out of this material, which refers to the rotor and the body. As you may know, the advantages are well-known. Magnesium is one of the lightest materials known to man and it is just perfect for reels. 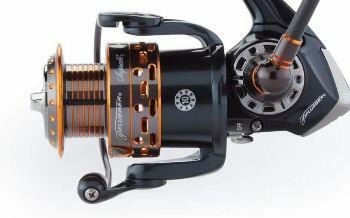 The reel is lightweight and lighter than almost all other models from this class. This is the main advantage of the manufacturing process we were able to explain right now. In general, the lightness makes the reel more desirable for professionals. We were skeptical at first due to the lightness, so we tested the overall strength of the reel. It is impressive how engineers were able to make so light and so strong fishing reel. The bottom line, this is an advantage, without any issues. The spool is made of anodized aluminum and it has been coated with protective powder. 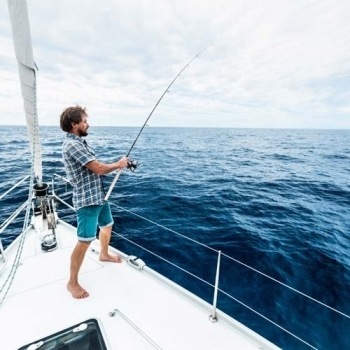 In general, you are getting a spool which is resistant or better said, immune to salt water and which will last as long as the entire reel. The spool feels well-made and it makes the entire reel looks even better than you may get the first time you see it. We liked this advantage a lot. The spool is designed and made to be used with braided line. There is no need to adjust or modify any of the elements and you can use it with braided line straightaway from the box. In addition, there are small, rubber elements that are implemented into the spool. The carbon drag system is located at the top of the reel. It has been sealed so the water cannot penetrate the interior. What does this mean? 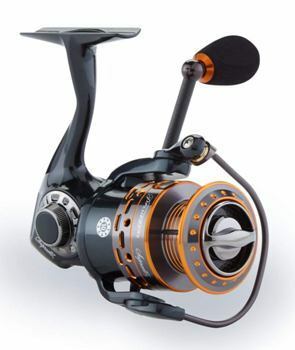 It simply suggests that the reel and more importantly the drag system will operate without any malfunctions for decades and it will meet the requirements of the most demanding fishermen. The drag system is capable of ‘’fighting’’ with the biggest catch and will meet your demands even when they look impossible to meet. 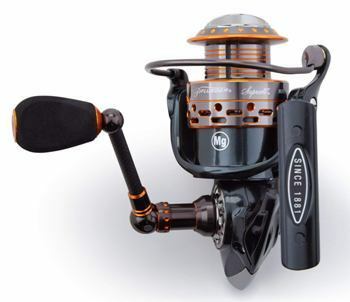 The clutch design, which is located inside the reel is optimized for the big catch and for hours of fighting. Both, handle and the knob are impressive pieces of development. The handle is made of carbon, so it is actually 21% lighter than the same handle, made of aluminum. Of course, it is strong as well and there are no issues with the strength. At the end of the handle, you will see the EVA foam knob which is modern, extremely comfortable and easy to use, even when you wear gloves. After all, the model in question must meet heavy-duty requirements and must stay usable at all times. There are 10 bearings inside this unit. They are made of stainless steel and they are made to last. The bearings are super durable and smooth when used. We believe that this is one of the best systems in the class and probably the best one in this price range. Once again, we can see a system which is designed to withstand heavy-duty operations. This one is made to operate for decades and to provide smooth operations all day long. In the lack of a better word, the Pflueger spinning reels are some of the best on the market. We were able to see a lot of popular and desirable models that make a huge difference when it comes to worry-free fishing. The model we have here is just one of many examples. And yes, it has a lot to offer. The tested unit is lightweight and probably the lightest model in the class. This makes it more than just a desirable item for professional fishermen, who seek for the ultimate performances. Despite the low weight, none of the strength or the durability has been compromised. It is still extremely durable unit which can withstand years and years of heavy-duty use. 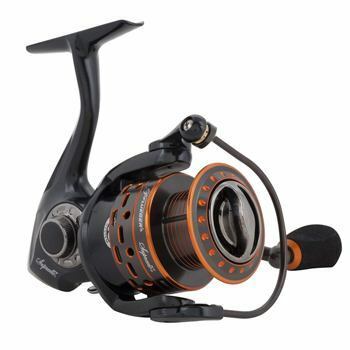 In addition, this reel is made of the best materials available at the moment, so we are free to tell you that it is an advanced model. The attention to the details is impressive as well. You can see that each element is beautifully made and each one has been perfectly paired with the next one. Overall, we have a reel that looks better than most, similar models available at the moment and the one that will look amazing on any rod. The bottom line here is that all fishermen who are looking for a permanent reel for years of advanced uses should consider the tested unit. It is one of the best in the class and it is a reel that will make you want to catch more and more fish every single day. We will also add that beginners will benefit from this alternative as well. They will have a perfect, professional reel which will serve them even when they become true experts. 1. What is the gear rating of the reel? The gear rating is 6.2:1. 2. What is the line capacity? The live capacity of the tested model is 145 yards. 3. Can be used for fishing trout? The reel is just perfect for fishing trout and we want to recommend it especially for this occasion. 4. Is it immune to the saltwater? Yes, it is perfectly immune thanks to the sealed drag system and the magnesium construction. Furthermore, it has aluminum elements which are coated for protection as well. 5. Is magnesium construction weak for me? It certainly isn’t! The magnesium body and rotor are still durable and strong, almost equally compared to aluminum versions. 6. How comfortable is it? The reel is extremely comfortable to use thanks to the ergonomic design, modern handle and even EVA foam knob which are all advantages of the tested model. 7. I need a fast response reel. Is this right for me? Yes. We actually compared it to other, similar models and we were impressed with the response time it offered. You will be more than just satisfied. 8. What’s the overall quality? The quality is at a high level and this reel is designed to be used for years. It is considered a wise investment by professional fishermen. 9. Is it available in different colors? Sadly no. There is only one color version you can choose from and that’s it. The bottom line of our Pflueger reels review is that the Supreme XT Spinning Fishing Reel a 5-star fishing reel that is a great investment and at the same time a wise one. First of all, it is beautifully made and it is durable. Then we can see the advanced features such as low weight and superior drag and bearing system. It is very smooth when used and it's comfortable. So yes, this may be the best model for you right now.